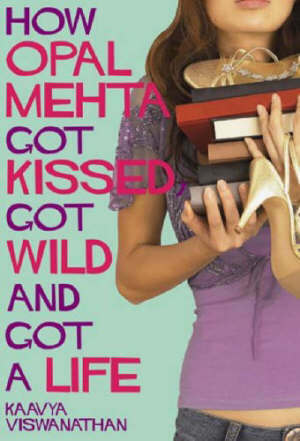 How Opal Mehta Got Kissed Got Wild And Got A Life is a really hilarious, witty, fast-paced, well-written yet thought provoking maiden novel by 18 year old Harvard student Kaavya Viswanathan. The novel is about Opal Mehta an NRI from New Jersey who’s (more importantly her parents’) only ambition is to get into Harvard. When Opal was just six years old her parents planned and formulated a foolproof strategy to get Opal to Harvard which the called HOWGIH (How Opal Will Get Into Harvard). Opal had spent her entire childhood and teenage following the plan religiously raking up awards and accomplishments that would look good on her resume and would ensure her admission at Harvard. All these planning and preparation goes for a toss when the Dean of Admissions asks Opal “What do you like to do for fun?” Opal who was not prepared for this kind of an interview got stumped. The next questions like “What is the last book you read?” or “Tell me about your two best friends?” further mess up the interview and Opal breaks down during the interview. So the Dean gives Opal another chance to apply after six months and asks her to get a life. Opal and her parents with their never-say-die attitude formulates another plan—HOWGAL (How Opal Will Get A Life). The execution of the plan and its consequences forms the rest of the story. The author’s familiarity with Harvard and its admission procedure makes the book more authentic. The language is superb and the writing style excellent. It is witty, sharp and without any flab. I recommend this book to all. I am sure you will love it. I read about this book and its author (Kavya Vishwanathan) some time ago. I think at that time, she still had not published the novel but had received a huge amount in advance from an interested publisher. I had planned to read but had totally forgotten about it until now and so thanks for posting it on ur blog. I think the author herself is an Harvard student and her parents both doctors originally from South india.And I guess a lot of kids growing up in Indian families can relate to the tale from what I read of your excerpt from the book. will def check this book out, seems an easy, light read. i’m rightnow analyzing richests of the world, but it has def made an entry in my wishlist. thanks for your suggestion! I had read about this book some time back but never thought much of it again. Shall have to check it out now. saw this lying in the crossword book shop.i was also hungry at the time and had a splitting headache.I had minimum wages in my left pocket.so you can guess what happened next and how I never managed to buy the book.but am visiting crossword day after with a nice pay cheque sitting in my left pocket and a good book that am looking forward to buy. Quills: You are right. Kaavya Viswanathan got a $500000 advance from Little Brown & Company for two-book deal. She has a lot in common with Opal Mehta. She is also from NJ. Her father Viswanathan Rajaraman is a neurosurgeon, and mother Mary Sundaram is a gynecologist. Venus: It is an easy, light read. I finished it in one sitting—under 4 hours. Kesi: It is a good book. Light reading and is fun. Maya: Nice to know to that you are back among the rich now. 🙂 Get the book. You won’t be disappointed. i miss good books here :(….. I actually disagree with many of the comments posted about this book. While it is remarkable that a girl so young is about to publish a book for such a large sum of money, I don’t think that it translates into a well-written novel. Having read it, I cannot deny a job well-done on the prose itself, but the story and plotline are quite lacking. It is extremely cliche and predictable, not to mention unrealistic at points. (Especially with the Harvard admissions information – does Harvard care “what you do for fun”?) On the whole, I was unimpressed with this novel, even considering that it was written for the teen-lit genre. Thanks. Chackochan: Too bad. But, can’t you get it from online stores like Amazon? mtreader: I have written my opinion. You don’t have to agree with that. Thanks for your inputs. Who could read such garbage? The author drew a character that is basically her bland, striverly self driven by shallow goals, made her completely flat and unlikeable, and threw her into a situation. Oh: the dialogue is also completely contrived and unbelievable, to the point of being worthless. I can’t believe she got a $500k advance on this piece of trash. Any decent writer could have blown this girl out of the water at age 10. Case in point: “Ever since my family moved to New Jersey from Chennai, India, I had known that I was meant to attend Harvard. Okay, so I wasn’t actually born when they moved, but I’m certain some of the Harvard vibes reached me in the womb.” F minus. Mike Church: I am sorry; I have to disagree with you. It is not a classic but it is very much readable and the $500K advance was paid by Little Brown & Company one of the oldest publishing firms in the world. The editors there couldn’t be stupid. They should be knowing their jobs, otherwise they wouldn’t be in business for such a long time. And it is one of the Amazon’s bestsellers this season. I’m embarrassed to admit that I’m kind of tickled that Kaavya Viswanathan’s “How Opal Mehta Got Kissed, Got Wild, and Got a Life,” is a blatant rip off and once the denial stops shrinking and eventually dissappears Kaavya will have to pay the piper. Why tickled and embarrassed? Embarrassed because this girl is probably feeling terribly, and happens to be learning this lesson in the public eye. I feel for her as a human being. As an arrogant spoiled rich girl who wasn’t satisfied with the support and encouragement and headstart that placed her at Harvard, thus extending her already absurd advantage in life over the vast majority of other people who scrape by every day on this planet, I am glad to see the hand of god respond to this hubris and knock miss Viswanathan abruptly back where she belongs. I want Oprah to give this girl a talking to. Interesting article.. check out the link below.. seems like there are some similarities…. Excerpts of similar passages in Kaavya’s ‘How Opal Mehta Got Kissed, Got Wild, and Got a Life, published in March, and Megan McCafferty’s Sloppy Firsts, published in 2001. “Kaavya Viswanathan, a Harvard sophomore currently involved in a plagiarism scandal, apologized Monday for accidentally borrowing material from an earlier novel. Viswanathan signed a reported $500,000 deal for two books while in her first year of college, but her first novel, “How Opal Mehta Got Kissed, Got Wild, and Got a Life”, published in March, recently came under media and publishing industry scrutiny. Last week, a reader pointed out that several passages were very similar in style and content to “Sloppy Firsts”, a book by Megan McCafferty, published in 2001. In a statement released on Monday by her publisher, Little, Brown and Co., Viswanathan said that the similarities were not intentional. She explained the similarities saying she had internalized “Sloppy Firsts” more than she realized. To all: Harvard University sophomore Kaavya Vishwanathan has promised to change her debut novel in future editions after acknowledging that she had unintentionally borrowed material from an author she deeply admired. (Associated Press, Monday, April 24, 2006). I wrote the post on March 23, 2006—much before the plagiarism scandal broke. After I read the book, I felt that the book was a good read—something that could be finished in a few hours. I still have the same opinion about the book. But borrowing material is something totally unrelated to this and I am totally against plagiarism. I have published most of the comments on the scandal. I have only deleted the comments that contained abusive language or those attacked me using profanity. I think there has been enough discussion on the subject and therefore I am disabling the comments. I hope you will understand. I am just a reader of the book who wrote what I thought after reading the book. If somebody have some grudge against the author or the publisher the please direct it to their mailboxes. Thank you. Well i have recently published my first mystery novel ‘THE GOPHER’ in U.S.A and i am presently doing my Master’s in Pune.Well after reading about the whole episode,i am sure Kaavya inside also knows she copied the excerpts and was pretty sure no one will even care to think about matching excerpts from some ohter novel.Such kind of mindset is there when you are pretty young writing a novel and really want to be famous.What she said in defence everyone knows is false and doesn’t make any sense. 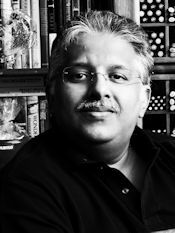 Anyways best of luck Kaavya and hope you learn from this blunder.Hope to read your original creation in future.